Whether it’s your home or office, getting the place painted can sometimes get a little more colorful than you’d bargained for. Are the painters reliable? Will they finish on time? Will they show up in the first place? Will the paint get on the actual walls, or will you be left with a few more splashes of color than you’d bargained for? 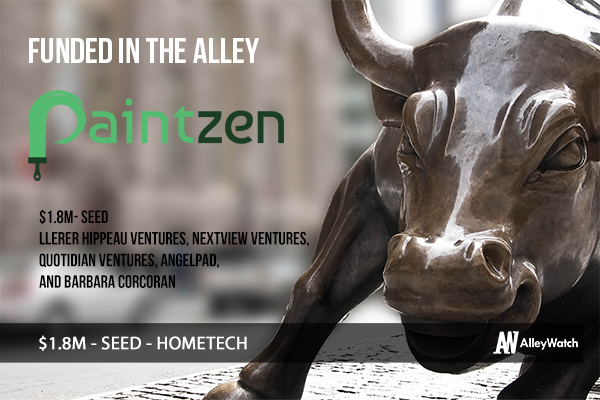 Enter Paintzen, a marketplace for home and office painting that makes the process of getting the job done a simple one. It’s as easy as inputting your details online and receiving a comprehensive quote. Paintzen handles all aspects of the job down to the smallest detail, including paint, supplies, insurance, tax, and tip. More good news: no job is too big or too small – they even offer a color consultation. And they’ve already painted 1,600,000 square feet of walls in New York City alone, and over 4,000 rooms. The company is an AngelPad Accelerator alumni, and has some pretty serious investors betting on them. Cofounder/Co-CEO Mike Russell gives us the brush strokes. Lerer Hippeau Ventures, Nextview Ventures, Quotidian Ventures, AngelPad and Barbara Corcoran. Paintzen is a platform that allows home and office clients to find, book and customize their paint jobs to fit their personalized needs, managing the logistics on both sides. Paintzen’s service handles all aspects of every painting job down to the smallest detail; including paint, supplies, insurance, tax, and tip. Paintzen prides itself on clear and easy pricing, delivering everything right to the customer’s doorstep in a convenient and comprehensive package. Paintzen vets the paint crews so you don’t have to, and also provides full insurance, tax, tip, supplies and labor in one simple quote – it’s a central location for all things you would need for a paint job. It’s also different because it’s a tech enabled home service – you hop on the website, input your details and get a quote very quickly (typical painting services have a slower time in providing quotes and are more complicated). We’re currently operating in SF and NY – and the painting industry is worth $50b in the United States alone. We’re targeting both home owners, small and large businesses – the beauty of Paintzen is that the service is scalable, making our service suitable for both B2B and B2C clients. Any idea what the most-requested paint color is? We sell paint, supplies and labor and keep a percentage of revenue of the total job. We were part of the AngelPad Startup accelerator, met a lot of contacts through this program which we converted into fundraising right from demo day. 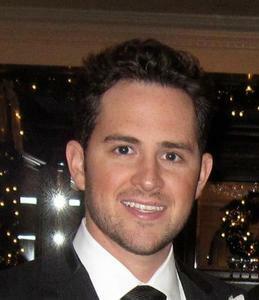 The biggest challenge was figuring out what valuation was and examining all aspects of the business in order to do so. We’re planning to roll out the service in new cities! Start by building a product and continue to show traction to pique the interest of investors and others. We’re working towards national expansion in all major cities in the US to bring painting to the people! What’s your favorite NY neighborhood when you go out to paint the town red? I usually like to hang at The Royal in Union Square, which is a bar I was a co-founder of.